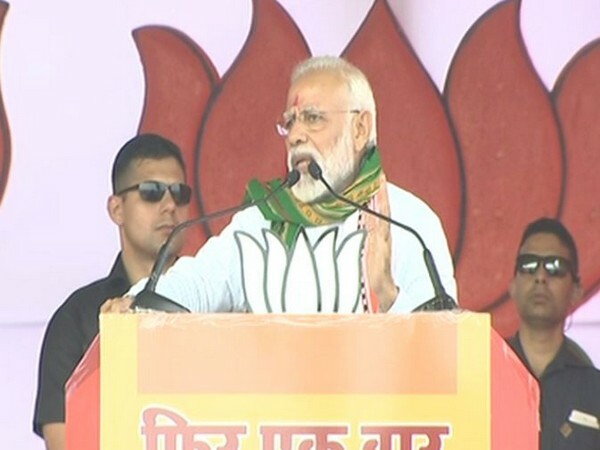 Udaipur (Tripura), [India], Apr 7 (ANI): Prime Minister Narendra Modi on Sunday alleged that Congress wants to punish the middle class by imposing high taxes and take the country back to the "licence raj". "Congress and some other parties are pitching for higher taxes on middle class. I want to ask them whether they want to get the country back to the licence raj era when there was a tax regime of 70-80 per cent,” Modi said at a rally here. He said that the Congress wants to punish the middle class by increasing taxes as they feel the middle class had voted Modi to power in the 2014 general elections. Modi cautioned the gathering against the people he described as “anti-middle class”. The prime minister claimed that middle class did not find any mention in recently launched Congress manifesto or 'dhakosala patra' as Modi dubbed it. “There is not even a single mention of the middle class in Congress' 50-60 pages dhakosala patra,” he said. Modi’s remark came days after Congress president Rahul Gandhi assured people that the funds for the party’s ambitious minimum income support guarantee scheme Nyay would not be collected from the middle class. “One thing I want to assure you that the money will not from the pockets of middle class,” Gandhi replied to a question on the source of funds for the scheme, during an interaction with students in Pune on Friday. Overseas Congress chief Sam Pitroda had said that the taxes may go up a little bit if Nyuntam Aay Yojna (NYAY) is implemented. “The middle class should not be selfish and have a ‘big heart’,” he had said.